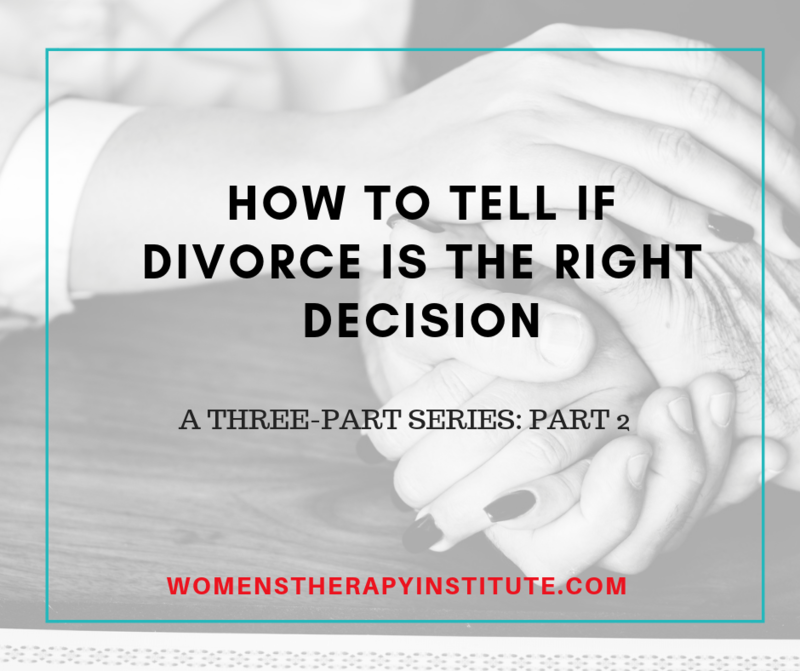 This is part two (read part one here) of a three-part series on how to determine if divorce is the right decision for you as a couple. This series will dive deeper into the options couples who are thinking of divorce have and the factors they should consider. The second option for couples to consider, which will be examined during discernment counseling, is separation. 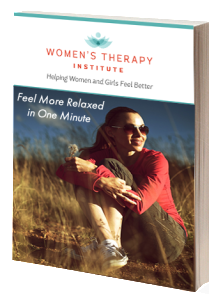 If during the counseling process it is determined that one or both people in the couple simply cannot stand the idea of being together any more then separation would likely be the best option. This is a couple that no longer wishes to live under the same roof. One or both of them has a strong desire to end the relationship and is not willing to try to repair it at this time. A couple that chooses to separate will each go their own way and will likely later file for divorce, unless after a brief separation they do decide to make the effort to fix things. It is impossible to fix a marriage if both parties are not open to the repair. Even if one of you is adamant about trying to fix things, if the other is unwilling then fixing things is unlikely. This is when discernment counseling is helpful. Because it looks at the needs, wants, desires of both parties to help determine the best path for the relationship. The goal is to help the couple come to an equitable decision, both are in the process, both are participants, both are involved. A broken marriage takes a lot of work from both parties. It takes commitment to change, openness to communicate, and willingness to try. Without those core desires separation may be the best option. Choosing between two guys? You are not that into either one. 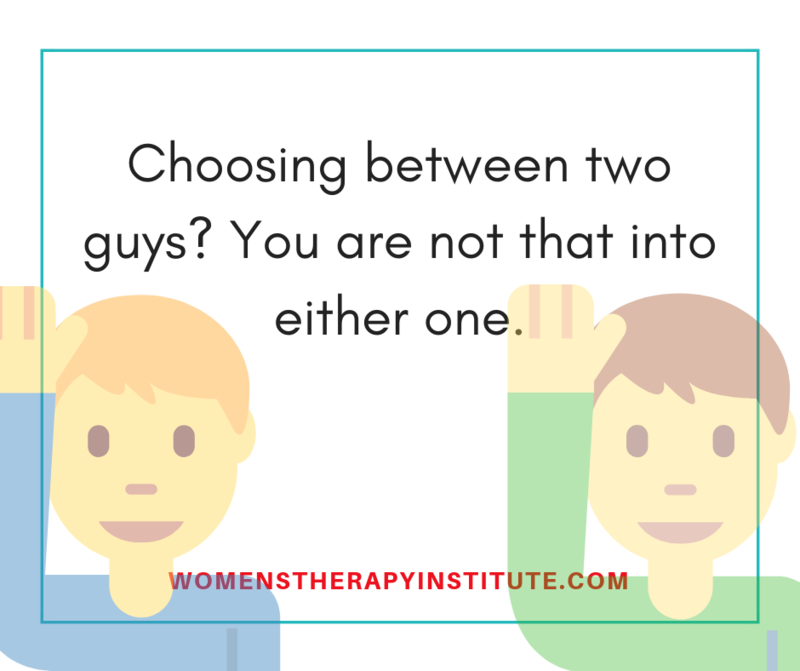 If you find yourself in a situation where you are deciding between two guys, then you are not into either of them. A decision like this should be an easy one if you have true feelings. It is like what Marie Kondo is teaching about the tidying up your home, does this spark joy? If neither guy stands out as one that sparks joy in your life then you shouldn’t be choosing between either. You should be moving on, looking elsewhere. The concept is a simple one, if it is not a “hell yes” then it is a “no.” When we are talking about relationships, sharing your time and your life with another, you should feel good about it. It should enhance your life. It shouldn’t be a “well maybe I like this person.” Life is short, too short to not be with the people who light up your world. You should be spending time with people that leave you craving to spend more time with them. Just because you have someone pining over you, doesn’t mean you have to go for it with them. Think about yourself and what your subconscious is telling you. Listen. Chances are there is a part of you that already knows the right decision and if it has to be a decision at all, then drop it. There are lots of people out there in the world and you will find the one who makes you feel great in your own skin. I understand the frustration that women get as they struggle to be single and the rush they feel to jump into relationships. But, why waste your time on something that doesn’t make you happy? You shouldn’t be settling because you feel a rush to get married or have children or create that nuclear family, you should be happy. You deserve to be happy. The rest will fall into place.